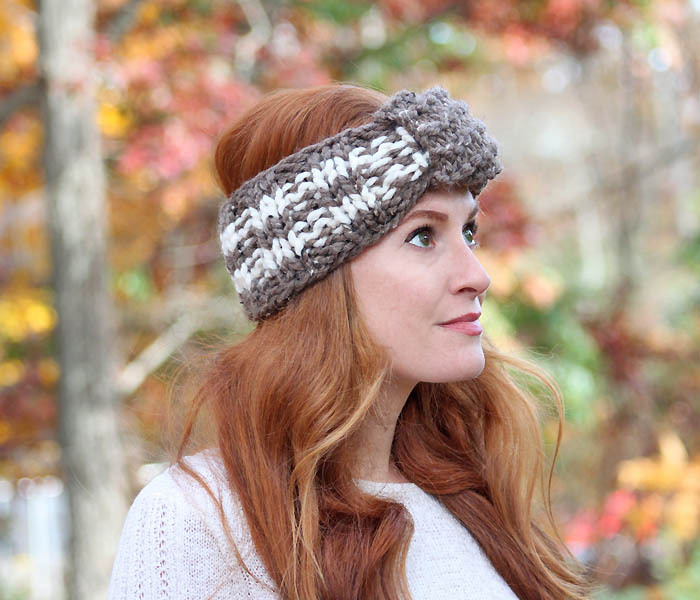 With the holiday season fast approaching I thought it would be helpful to feature some knitting patterns that are not only fast & easy, but would also make great gifts! 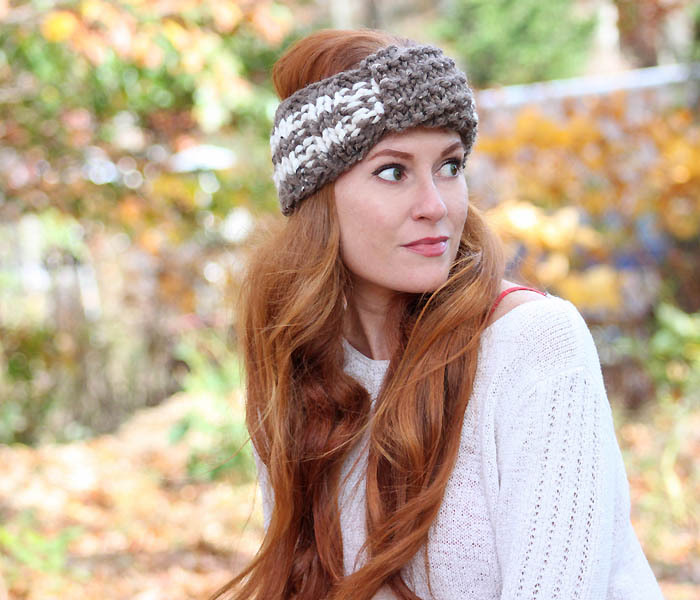 This headband can be whipped up in under a hour and it’s so warm and comfortable. I kept the colors neutral for this one, but I think it would also look so pretty in rich, jewel colors. 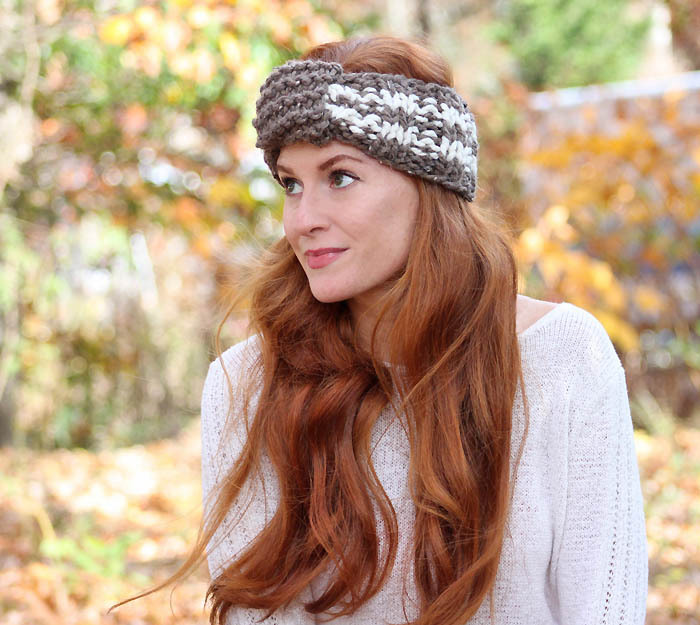 With the circular needles and Barley color, cast on 36 stitches. Join together. Knit in K2, P2 ribbing for 2 rows. Switch to Oatmeal color and knit K2, P2 ribbing for 2 rows. Switch back to Barley and work in ribbing for 2 rows. Switch to Oatmeal and work another 2 rows in ribbing. Knit the final 2 rows in Barley and bind off. Using the size 13 straight needles, cast on 10 sts. Work in Garter stitch until piece measures 7 1/2 inches. Bind off and sew around the center using a yarn needle.